Large-size freestone creek in the Great Smoky Mountains National Park (GSMNP). Location Access from GSMNP entrance in Bryson City. Easy to high difficulty of access depending on location and elevation. 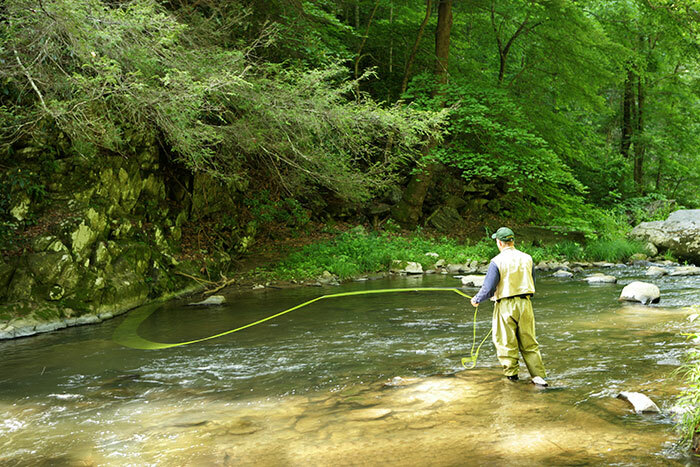 Deep Creek is famous for its brown trout population, several of which are quiet large. Great fishing for rainbow trout in the lower reaches and Southern Appalachian strain brook trout in the highest elevations. Deep Creek Trail, which runs 15.9 miles from the trailhead near Bryson City to just below Newfound Gap, offers great access to the water. Fishing on Deep Creek is very good, with great hatches of aquatic insects and one of the highest trout per mile counts in the Smokies. 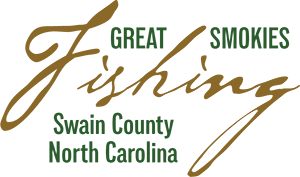 Deep Creek is rich with the history of many people who shaped the Great Smoky Mountains; most notable are Tsali, Horace Kephart, Thaddeus Bryson, and Mark Cathey.